Patricia, 78, from Gledhow has type 1 diabetes which she controls by taking insulin. She was also diagnosed with MS when she was very young. A few years ago, Patricia started falling, sometimes ending up in hospital. She soon lost the confidence to go out at all, becoming increasingly isolated. 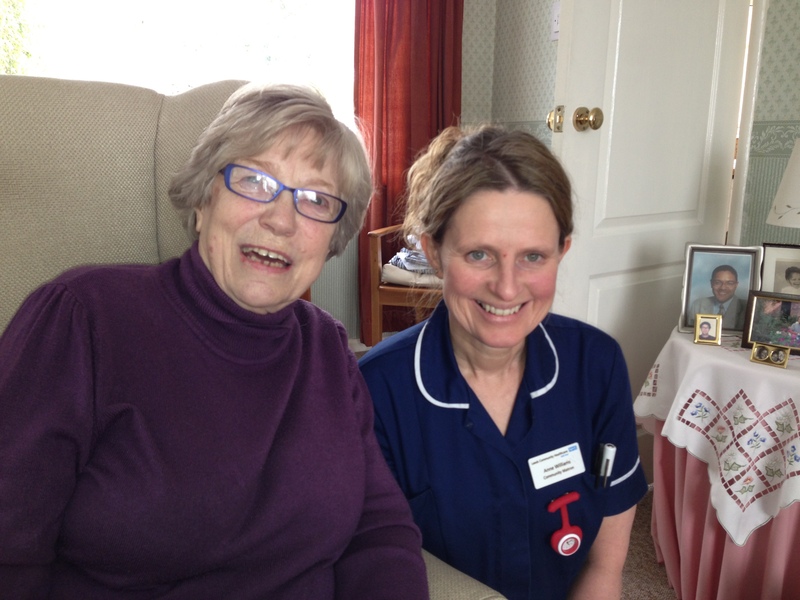 A community matron and social worker from Meanwood’s integrated neighbourhood care team made a visit to Patricia’s home to talk to her and assess her needs. “My doctor asked if someone could come to see me,” says Patricia. “He explained that they’re trying to help people like me avoid having to go to hospital if they don’t need to, and there might be other things that could help me feel better. “Matron Anne and Jason – the social worker – were both marvellous,” Patricia continues; “Jason realised I needed more help and he referred me to the community falls service. I’ve since had physiotherapy, which was very helpful too. They’ve arranged for me to have alarms in case I fall, and a pendant alarm which I wear all day when I’m in the house”. Patricia was also advised on claiming for attendance allowance to help her to get out more, and received information about local groups and activities. Patricia was supported by one of Leeds’s 12 integrated neighbourhood care teams – set up as part of a citywide programme to make services more co-ordinated. For further information about integrated health and social care for adults in Leeds, email healthandsocialcare@leeds.gov.uk or visit www.leeds.gov.uk/transform. For information on any of the types of support mentioned in this article call Adult Social Care on 0113 222 4401 or 0113 222 4410 (textphone).